The Detroit Zoo contributes more than $100 million annually to the regional economy. It is the single largest paid family attraction in Michigan, with annual attendance of more than 1 million visitors since 2006. Visitors come from every county in the state, every state in the country and more than 40 countries. The Detroit Zoological Society (DZS) was named the 2015 Best-Managed Nonprofit by Crain’s Detroit Business, winning the publication’s top honor for exceptional mission-driven management practices. 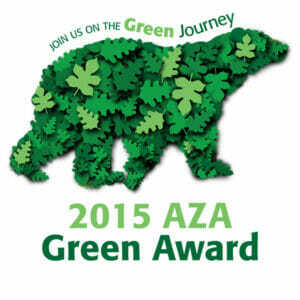 The award recognizes the DZS Greenprint, a strategic plan that refines and improves daily practices and facilities at the Detroit Zoo and Belle Isle Nature Center, develops new policies and programs, and improves green literacy and action in the community. As the first organization to receive the Autism Alliance of Michigan’s Seal of Approval, the DZS is committed to maintaining a safe and autism-friendly environment. This includes creating a social narrative that is available on our website and helps families prepare for their visit to the Detroit Zoo. Additionally, autism training is provided to DZS staff and several community partners – including Detroit Homeland Security, police departments from Detroit, Farmington Hills, Grosse Pointe, Harper Woods, Huntington Woods and others – by the Autism Alliance of Michigan. DZS staff participate in plush animal giveaways at DMC Children’s Hospital of Michigan, Beaumont Hospital and C.S. Mott Children’s Hospital. Pediatric patients can choose from hundreds of plush playmates that were purchased and donated by generous Detroit Zoo patrons, DZS staff and volunteers at a discounted price in the Detroit Zoo’s gift shop, Zoofari Market. This incredible program brings smiles to little faces in need of a bright spot in their day. Free Detroit Zoo admission tickets are distributed to more than 1,500 local nonprofit organizations including United Way for Southeast Michigan, Detroit Recreation Department, Boys & Girls Clubs of Southeastern Michigan and Big Brothers Big Sisters. More than 9,000 pounds of food are collected for Gleaner’s Community Food Bank annually during Bunnyville. Meet Your Best Friend at the Zoo is one of the nation’s largest remote animal adoption events with more than 24,000 dogs, cats, puppies and kittens adopted since 1993. In recognition of its environmental leadership, the Detroit Zoo received the top Green Award from the Association of Zoos & Aquariums in 2015, distinguishing it as the greenest zoo in the country. Look local. Exploring farmers’ markets helps you find fresh produce grown locally, but equally important, you can meet the people who produce your food. Such relationships are opportunities for education: you can learn how your food was grown, when it was harvested, and even how to prepare it. When you’re informed, you make smarter decisions. Eat local. Just because you’re not at the farmers’ market doesn’t mean the market’s bounty isn’t available to you. More and more restaurants are incorporating locally sourced items into their menus. Eating locally means that food will be fresher — and therefore taste better and perhaps retain more nutrients. Buy and support local manufacturers. There are 232,969 people unemployed in the state of Michigan.